TBM 1712.03 DDOP-Advent-01: The Coming of the Cardinals by Melissa Bartell is licensed under a Creative Commons Attribution-NonCommercial-ShareAlike 4.0 International License. Lovely piece. 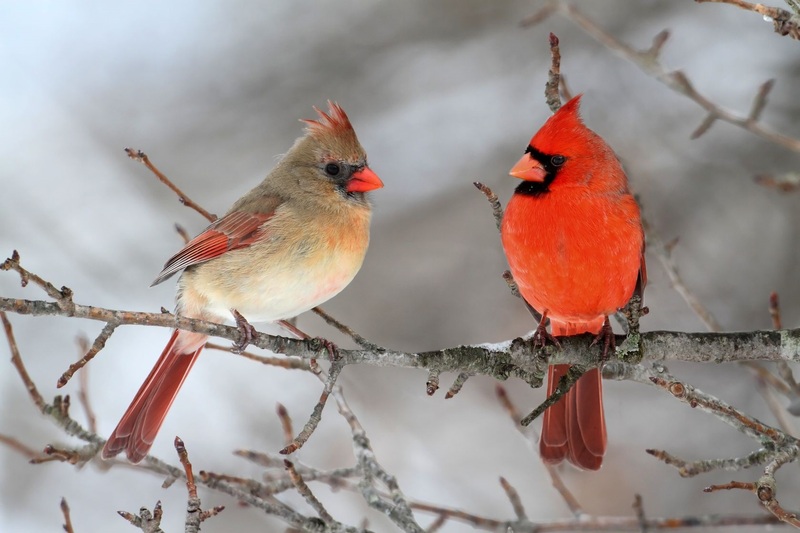 Did you also know that cardinals mate for life and are bonded to a place where they will return every year?